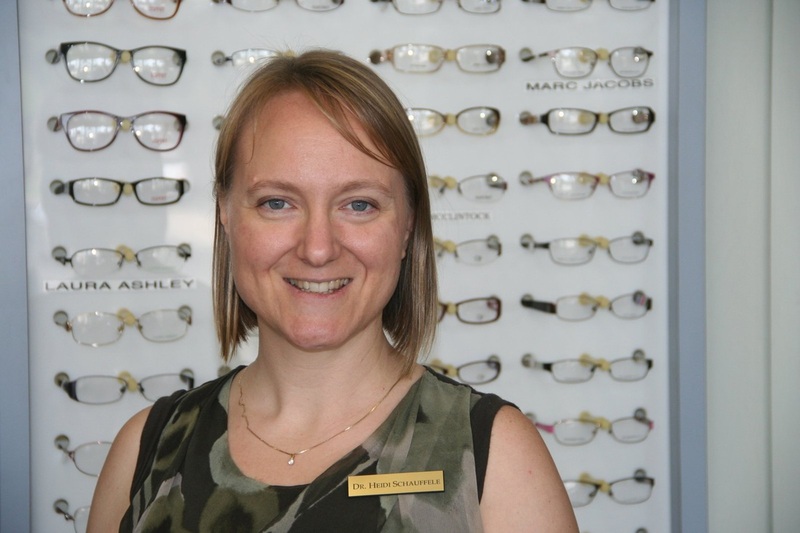 Meet Our Arden-Arcade Optometrist | Heidi L. C. Schauffele, O.D. Home » Our Doctors » Heidi L. C. Schauffele, O.D. Heidi L. C. Schauffele, O.D. Dr. Schauffele completed her undergraduate studies at Pacific Union College in the Napa Valley in 1997. She married her college sweetheart and then persued a graduate degree in optometry at the UC Berkeley School of Optometry. She has been a welcome addition to our office since 2003. She is a caring doctor, qualified to perform full scope optometric care. She especially enjoys fitting a variety of routine and specialty contact lens options. She feels strongly that children (beginning at age 6 months) deserve routine eyecare and provides a child-friendly environment to ease the introduction. Babies age 6 months to a year are screened free under the InfantSee program. Dr. Schauffele is an active member of the American Optometric Association, the California Optometric Association, the Sacramento Valley Optometric Society, and the Embarcadero Lions Club. She serves as Director on the Northern California Lions Sight Association board, and as treasurer of the Sacramento Valley Optometric Society.